Thinking of emigrating: here’s what you need to know about living, working and looking for a job in Canada (Live and Work in Canada). The Canadian shortage occupations list could be your key to finding employment here, but you’ll need skills and experience to qualify. Would you like to live permanently in Canada? It is easy to see why people from all over the world make the decision to call Canada their permanent home. With Canada’s high standard of living, world-class education and strong economy, immigrating to live and work in Canada is an exciting opportunity. It may seem like a simple choice but if you want to Immigrate to Canada there are many different ways to apply. There are many options to permanent residence and sometimes choosing the right path may not be that simple. 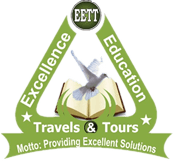 That is where EETT can help you make the best choices and lead you to the right path in your quest for permanent residency in Canada. We have outlined the various categories that may lead to permanent residence below and throughout our website. After reading about your options, please contact us with any questions you may have and we will contact you with the information you need to make an informed decision on your quest to live in Canada. Federal Skilled Workers: are assessed upon their likelihood of becoming economically established in Canada and includes qualifying under a point system. IMPORTANT: This category has recently changed and New Instructions have been issued. Canada Welcomes You can quickly assess you under the New Instructions and provide you with alternative options if you do not qualify under this category. Unemployment in Canada is 8.4 per cent (August 2015).It is important to note that a work permit and approval to immigrate does not guarantee employment, even if you are highly skilled. There is currently a demand, however, in areas such as accounting and finance, aerospace, agriculture, biotechnology, chemical manufacturing, construction, healthcare and social care, ICT and e-commerce, mining and food-services. A résumé in Canada is usually two pages in length. Remember to target the résumé towards the position for which you are applying and focus on areas that are related to the job. Online applications are becoming more commonplace and need just as much attention. A concise application email in formal writing should accompany your résumé. Both one-to-one and panel interviews are common in Canada. Although it is not necessary to send copies of your degrees/diplomas with your application, it is recommended you have copies for the interview. For have further information on writing a résumé, visit Canadajobs. Often the best ways of finding a short term job us simply walking into a shop, restaurant, bar or hotel and asking for the manager. Even if they don’t have anything at the moment, leave your CV. If you are travelling with any International exchange organisation they will provide advice and assistance in pre- arranging work and accommodation. Their directories have listings from those who wish to employ part-time and summer staff, which helps take a lot of stress out of job hunting. Internships are a great opportunities to get practical training in your field of study in another country. Working as a volunteer can give you Canadian work experience, allowing you to practice French, expand your network, develop contacts in your sector and improve your employability. For more information visit Volunteer Canada. For the initial six months, Canada does not require Irish citizens to have a visa when visiting, studying or doing business. 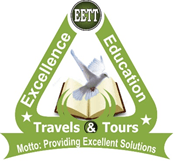 All that is required is a return ticket and sufficient funds to cover your stay. If you do wish to work or study for longer periods, a visa is required. It would be useful to check out Canada’s official site for Citizenship and Immigration which provides information and application procedures for temporary and permanent immigrants. If you want to work temporarily in Canada you will need a work permit. This is usually only issued on the basis of an offer of employment that has been confirmed by a Canada Employment Centre. Usually the employer must prove that the position could not be filled by a Canadian citizen or resident. However, certain jobs are exempt from the requirement for a work permit. For those seeking a more permanent move there are options such as skilled worker, business and family class immigration. At this level, immigration is built around a points system. Applicants must fulfil certain criteria, and earn enough points in a number of areas including education, language ability, work experience, age, arranged employment adaptability and meeting the minimum financial requirement. Additional points are awarded for family connections with Canada. For up-to-date information and a self- assessment tool that enables you to see if you qualify as a skilled worker visit Citizenship and Immigration Canada website. The government of Quebec selects its own immigrants in co-operation with the government of Canada. If you want to work in Quebec a Certificat d’acceptation du Québec (CAQ) may be needed from the Québec government. Most provinces in Canada have an agreement with the Government of Canada that allows them to play a more direct role in selecting immigrants. Applications must be made direct to the province. A study visa/permit is required if you wish to study in Canada for six months or more, or if you intend working part-time on campus. To qualify for a study visa, you will need acceptance to a university, college or technical institution in Canada, a valid passport, proof that you can support yourself while you are studying in Canada and proof that you intend to return home after the completion of studies. 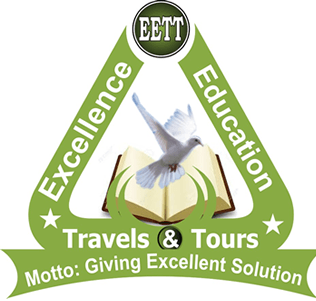 For further details contact: Excellence Education Travels and Tours. 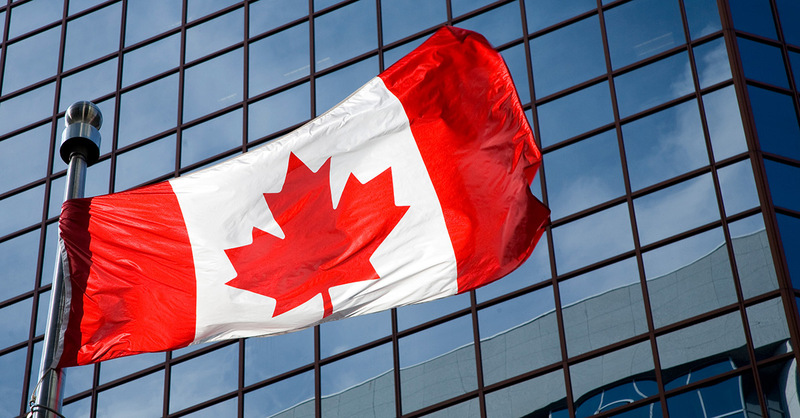 Full-time Nigerian students can apply to work in Canada on a temporary basis. This temporary working holiday visa has been extended to non-students. To qualify you must be a Nigeria citizen resident in, Nigeria, aged between 18 and 35, have no criminal record, and have sufficient funds to cover expenses during your initial period of stay in Canada.. If you are going to Canada a student or are under 35 you can visit under the Student Work & Travel Programme/Canada Work & Travel Programme Canada under 35 Programme which allows you spend up to a full year living and working in Canada. The Work in Canada programme is a flexible and allows you to enter the country with no job pre-arranged. However searching on the web before you go could be very useful. There are almost no restrictions on the type of work you do or where you do it, or indeed the number of jobs you hold at one time. The only jobs not covered by your work permit are camp counselling and tobacco picking, although a medical examination is required for medical, health, childcare or housekeeper positions. Remember that if you want to work in Quebec that you should have very good skills in written and spoken French. You will need a Social Insurance Number to work in Canada. To learn more about applying for one, visit servicecanada. Foreign workers are subject to Canadian income tax rates, although special regulations apply for newcomers (immigrants) during their first tax year. Employment and working conditions are strictly regulated in Canada through federal and provincial laws. The average working week in Canada is typically between 35 and 40 hours. Public holidays vary across each province (St. Patrick’s Day is a public holiday in Newfoundland and Labrador) although there are a number that are celebrated on a national level. Important dates to note are Victoria Day (Monday proceeding May 25), Canada Day (July 1st), Labour Day (first Monday in September) and Thanksgiving (second Monday of October). Holidays do not tend to be as generous as those in Europe. Minimum wages are set by each of the ten provinces and three territories, and can range from $10 an hour in Yukon to $12 an hour in Nunavut. Some occupations, particularly those in the service industry or specific trades, will have different legislated minimum wages. For more information visit Canadaonline. What are your chances of getting a job? The Canadian graduate labour market is very competitive, so it may be difficult to get secure work. One of your best chances of finding work is to look for jobs in the Canadian shortage occupations list which would allow you to enter Canada as a federal skilled worker. However you would need proven skills and experience in the job role in question to qualify for this. Some professions are regulated in Canada, which may mean you’ll have to get your academic or professional qualifications accredited to be able to work in that role in the country. It is useful if you have contacts in the job market in Canada as networking is an important part of the job hunting process. Fluency in French may also be required depending on the part of Canada in which you want to work. Major industries: service industries including transport, construction, banking, retail, tourism, healthcare and education; manufacturing covering paper, aerospace technology, cars, machinery, food and clothing; and natural resources including forestry, agriculture, mining and energy. Recent growth areas: healthcare and social assistance sectors, manufacturing, and the petroleum sector. Shortage occupations: medical professionals, including doctors, dentists, nurses, physiotherapists and audiologists; financial analysts and financial brokers; engineering, including civil, electrical and electronic, aerospace, mechanical and petroleum engineers. For a full list see Government of Canada: Federal Skilled Workers. Major companies: Royal Bank of Canada, TD Bank Group, Bank of Nova Scotia, Bank of Montreal, Suncor Energy, BCE (telecommunications), Sun Life Financial, Canadian Natural Resources, Imperial Oil, CIBC, The Woodbridge Company (media) and the Canadian National Railway. What’s it like working in Canada? Average working hours: the standard hours of work under the Canada Labour Code are 8 hours in a day and 40 hours in a week. Holidays: statutory holidays vary across provinces but there are nine at the national level. Annual leave is generally two weeks per year which increases to three weeks once you’ve worked with the same employer for six consecutive years. Tax rates: foreign workers are subject to Canadian income tax rates, although special regulations apply for newcomers (immigrants) during the first tax year. You will usually need to file one tax return a year. Rates of tax vary across provinces but are typically on a sliding scale from 15% to 33% depending on your salary. Don’t forget to check your tax and National Insurance position with HM Revenue and Customs (HMRC) to ensure that you are not losing any pension rights. It is a good idea to apply for jobs in Canada while you’re still in Nigeria as trying to get a job when you’re in the country can be difficult. As in Nigeria, the typical way to apply for jobs is with a cover letter and CV (commonly known in Canada as a résumé). Your CV should include the standard information such as your contact details, past employment, education and skills and should usually not be longer than two pages. You don’t have to supply references on your CV but you should be prepared to provide them at your interview. You might be expected to give work-related, academic and personal references. Make sure your application is targeted at each specific employer. Get more applications and CV advice. The interview process is also similar to that in Nigeria with both one-to-one and panel interviews being used. If you’re in Nigeria when applying for work you will usually have a phone interview. Make sure you research the company well before the interview and perhaps consider sending a thank you email afterwards. Will your Nigeria qualifications be recognised? Nigeria qualifications are generally well recognized around the world, but check with the employer or the relevant professional body prior to applying for work. If your profession is regulated in Canada you will need to get your academic or professional qualifications assessed. Some employers may also request it in non-regulated careers. More information is available from the Canadian Information Centre for International Credentials. To take part in our internship programs, candidates must have an intermediate to advanced level of English, be a college or university student or graduate, have some previous work experience, be open-minded, flexible and curious about learning a new culture and improving their English or French skills. . All candidates must be eligible for the appropriate visa through Citizenship & Immigration Canada. Nigeria citizens need a visa to enter Canada. However, if you wish to work there you will need the correct work permit, even if the work will be unpaid. If you are planning on working in Canada for a maximum of four years you are able to apply for a temporary work permit. In most cases, you’ll need a written job offer or contract from your employer in Canada, as well as evidence that you meet the requirements of the job before applying for the permit. It’s likely that you’ll also need written confirmation from Human Resources and Skills Development Canada (HRSDC) that your employer can hire a foreign worker to fill the job. This is known as a positive labour market opinion (LMO) and it’s up to your employer to get it. Once they have the written confirmation they should pass it to you so you can submit it along with your work permit application. You can apply online for the permit through the High Commission of Canada in Nigeria. In addition to the work permit, your employer will need to make sure you’re covered by medical insurance and workers’ compensation. You will also need to get a social insurance number (SIN) and the form to apply for this can be downloaded from Service Canada. You need to then submit the form to a local Service Canada Centre once you’re in the country. Although it’s possible for some people to get the work permit as they arrive in Canada it’s strongly advised that you apply for it before you go. If you wish to work in Canada for longer than four years you’ll need to look at getting permanent residency. Otherwise you will have to leave the country for four years before returning for another four. More information on work permits and the varying requirements can be found at Citizenship and Immigration Canada. If you are not a Nigerian national contact the Canadian embassy in the country where you are currently living about how to obtain visas and work permits.